Tim Caven spent more time developing this lure than any other. Itâ€™s easy to make a call lure with just a â€œskunkyâ€ smell but Tim wanted much, much more out of this one. When you crack the cap, you will certainly smell skunk but underneath you will detect a sweet odor consisting of a generous dose of castor and muskrat musk. To top it off, Tim added a couple more â€œspecial agentsâ€ and put it up in a thick base so it hangs in there a long time. Use â€œGUSTOâ€ above your set during warm weather and directly at your set when it starts to cool down. 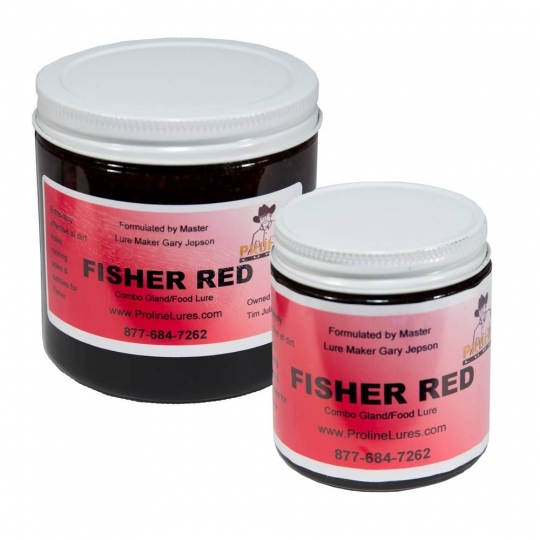 Made for red fox, grey fox, coyotes, bobcats and for you marten and fisher trappers, it doesnâ€™t get any better than this.